Exceptional Location. 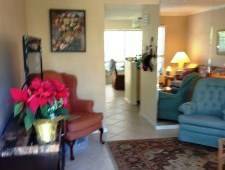 Two minute walk to the beach or the shops on 5th Avenue. Two bedrooms each with it's own bath on the second floor. Living room, kitchen, dining room and powder room on the first floor. Comes complete with WiFi, cable and all necessities and state of the art appliances with granite counter tops. 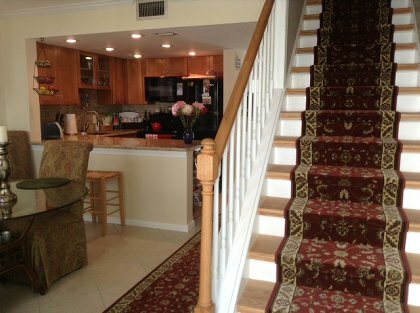 Our home is in an exceptional location in great condition and exquisitely furnished. It was totally remodeled late 2012/2013. Six townhouses share this private location with a lovely landscaped garden behind a 20 x 40 foot heated swimming pool which is outside your front door. Dine on 5th Avenue South, 3rd Street South or pool side under the stars. 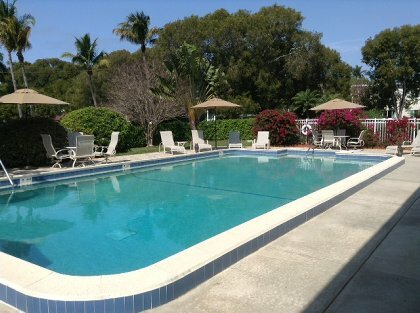 Beautiful / bright 3 bed end unit condo overlooking pool. Walk on to golf course. Minutes from beach.